Day two of the Clutch Cut program is an investment in your cardiovascular fitness and mental toughness. You are your own trainer and motivation coach. It's up to you to make each sprint mean something. Warm-Up and Stretch Series: Begin by spending five minutes jogging, walking, or biking. Then, you'll stretch. Each stretch should be done for two sets of 30 seconds before moving on to the next one. It is not enough for you to sit in a stretching position and pretend to exert yourself. You have to actually reach, pull, and move with effort. Prepare your muscles for the work they're about to perform. Sprint Circuit: After you've gone through the all of the stretches, it's time for high-intensity interval training (HIIT). 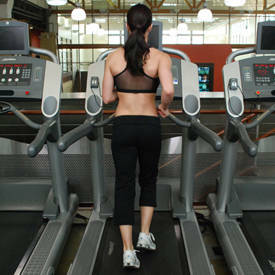 Your HIIT sprints can be done on the treadmill, stairmill, bike, or even outside. It's up to you. 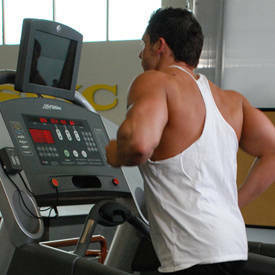 But, no matter which machine you choose for cardio, it's your job to do the work. You'll do 10 sets of the circuit. 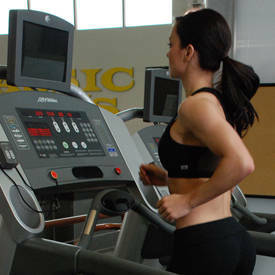 The circuit consists of 60 seconds of recovery cardio (level 5), 30 seconds of intermediate cardio (level 7), and 60 seconds of all-out sprinting (level 10). If you want maximum results, you need to push yourself. Stay true to the levels. Don't sell yourself short. Cool-Down: Your final task for the day is to cool down and stretch. When you put your body through a huge amount of stress, you need to help it recover. Jog, bike, or walk for five minutes and then repeat the warm-up stretching series.